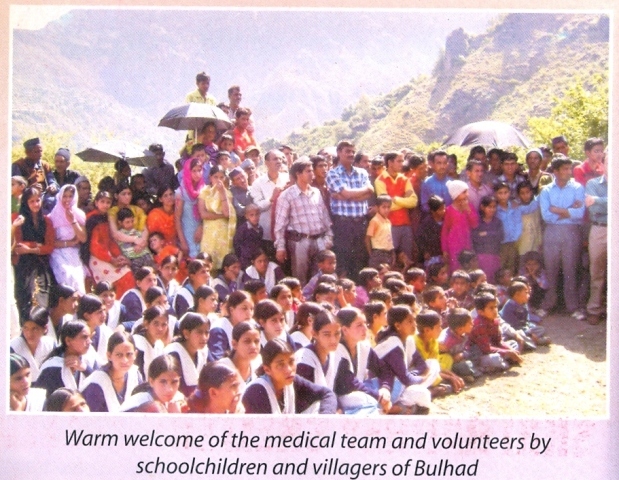 Bulhad is a very remote village of tehsil Chakrata, Jaunsar Bawar, Uttarakhand. The village is about 35 km North of Chakrata. 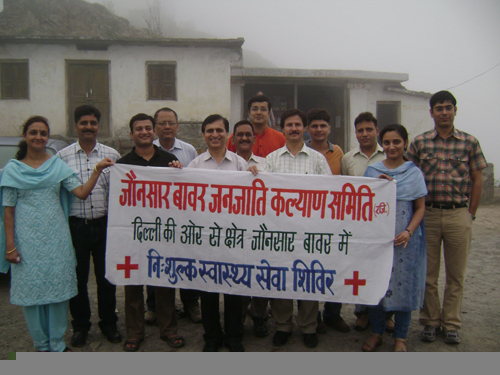 JBTWS-Delhi organised its first ever free medical health camp, in May 2007, in Bulhad. At that time, the village was not linked with road facility. Half of the distance was covered on foot by the health team. 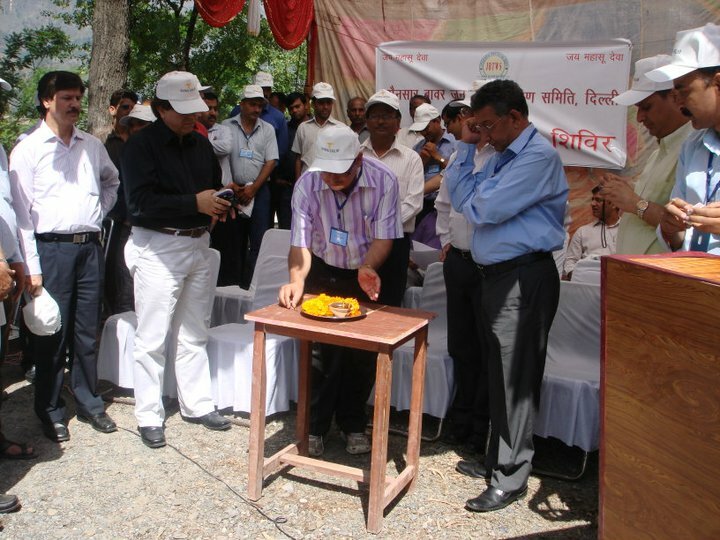 The entire camp was organized in the compounds of the newly inaugurated Public Health Center of the village. Doctor(s) Kunwar Singh Rawat, Padam Singh Negi, Shyam Dutt Bijalwan, Meenu Rawat, V.S. Tolia, Sandeep Tandon, Amar Singh Rai, Keshar Chauhan, Narendra Chauhan, Durga Rawat, Parmesh Sharma, Sandeep Uniyal and others rendered whole-hearted services in the health camp. JBTWS, Delhi Members Shri Maya Ram Sharma (Chairman), Ratan Singh (President), Sundeep Chauhan (Vice President), Kishan Nautiyal (Secretary), Matbar Singh Chauhan (Joint Secretary), Sunil Joshi (Treasurer), Ramesh Joshi, Mohar Singh Negi, Teekam Bhandari, Chander Tomar, Pratap Singh Chauhan and other provided supreme organizational and vounteering support for the camp. 2200 patients from 10 villages of khat Bharam were benefited. free medical check-ups were done by specialist doctors. Free medicine was provided to all the patients. Blood and Urine tests were conducted. Team of about 20 volunteers of JBTWS, Delhi attended the camp.